The next time you need a Fast, Reliable, and Cost-Effective Temporary cooling solution, Consider a Paratus Vertical Tent Air Conditioner Rentals which are available in 10-ton, 20-ton, 30-ton sizes from over 24 locations in North America. Paratus Rentals Vertical Tent Air Conditioner Rental units are typically used for through the wall tent applications. The standard bi-directional “free blow” grille arrangement distributes the air inside the tent. Optional duct adaptors extend the versatility of the units for other applications or where the tent application must be ducted. Other applications include manufacturing processes or temporary spot cooling / heating. Narrow footprint makes them less obtrusive when applied with a tent wall. Cam-lok power cable connections w/ pass thru to eliminate extra wires. 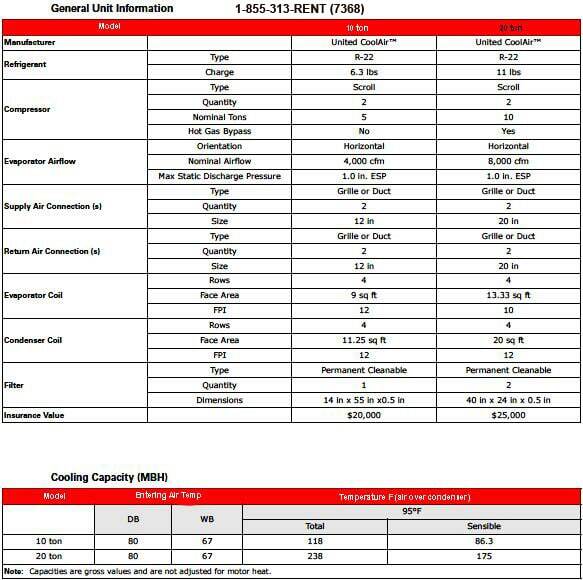 Paratus Vertical Tent Air Conditioner Rental units can be provided as cooling only or as cooling / heating configurations. The wide variety of options allows the units to be tailored for your specific requirements. 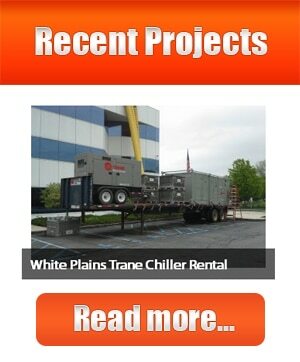 Turn Key Temporary Heater and Air Conditioning Rentals NJ NY CT PA NYC are what set us apart from the competition. Paratus provides Turn Key Temporary Heaters and Air Conditioning Rentals NJ NY CT PA NYC because we are a Mechanical Construction Company; we offer integral Temperature and Energy Solutions with the highest level of engineering, construction and project management services in the Chiller and Air Conditioning Rental NY NJ CT PA NYC Industry. When you choose Paratus you are not just choosing a rental company, you are choosing a Turn-Key Temporary Heater and Chiller Rentals Installation Solutions Provider. Paratus has a solution no matter how impossible your installation may seem, we can rig it, crane it, shore it, weld it, and pipe it so your temporary rental air conditioning or heating system installed quickly!